Much hype surrounds the boys race, but the girls race is every bit as wide open and unpredictable. Fans are very much divided when it comes to the girls favorite. Of 67 first place votes, Anna Bosse of Walter Johnson took 24, Anna Ryba of Whitman took 22, while Britt Eckerstrom, Abbey Daley, and Camille Bouvet each took 7. The average predicted finish time was 18:50.6. The coaches favored Anna Ryba who received 8 votes while Anna Bosse received 4 votes. Eckerstrom and Daley each received 2 votes from coaches. The coaches' average predicted finish time was 18:53. Anna Bosse looked like the unquestioned top runner in the state when she won the elite race at the Bull Run Invitational by 30 seconds in 19:47. She is going to be tough to beat at Hereford but the county championship is at Gaithersburg. Bosse has a state title under her belt but can she get a win at Gaithersburg? The majority of fans believe she can. There have not been many flaws in Anna Ryba's season. 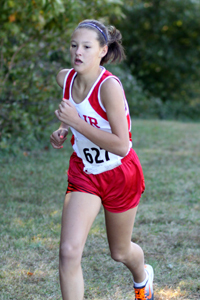 She finished second at the Peter Geraghty Invitational and Georgetown Prep Invitational and sixth at Oatlands and Octoberfest. The one hiccup was when she lost to Bouvet and Bosse at a WJ home meet, but she got back at them in a convincing way at Georgetown Prep. The majority of coaches polled favor Ryba. The 2008 county champion can never be counted out. In results as far back as I can find, no other Montgomery County runner has ever won county titles in the 500m and 5000m. Expect her to use her awesome speed to race for the win. She recently ran 18:58 at Glory Days, which is another relatively flat 5k course like Gaithersburg. The 5:04 miler has looked outstanding at times this season such as her win in a dual meet over Bosse and Ryba and a third place finish at Paul Short over teammate Bosse. 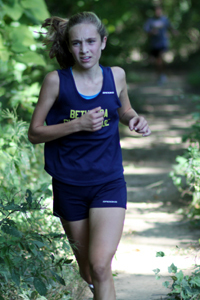 Like Eckerstrom, she will use her speed to her advantage on the Gaithersburg course. Daley had a winning streak of seven consecutive races this season including wins at the Magruder, Bull Run, and Frank Keyser Invitationals. In her biggest test of the season at Georgetown Prep she came up a little flat and finished 11th. Expect her to bounce back. 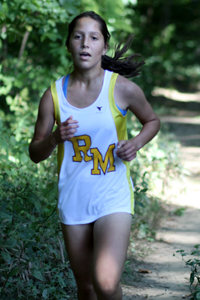 Farrell finished third at Magruder and Bull Run and clocked 19:09 at the Glory Days Invitational. Additionally, she led her team to the division title and victories at Magruder and Paul Short. Phillips clocked 19:22 at the Octoberfest Invitational and proved she can run with the best by finishing ninth ahead of Daley and Bouvet at the Georgetown Prep Classic. 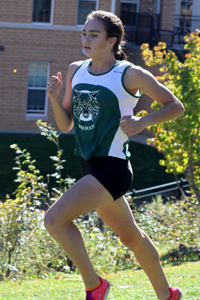 De La Paz made a splash in her first year of cross country when she ran 20:22 and 19:59 in her first two races. 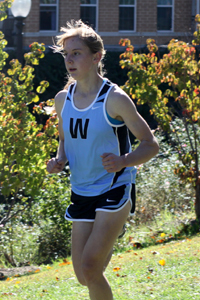 She is coming off a win in the unseeded race at Georgetown Prep. 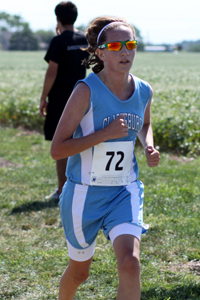 The freshman has rejuvinated the Blair girls team with times of 20:09 and 20:08 in her first high school races. 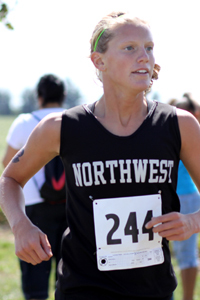 She recently won the DCC title and smashed the Northwood course record with a time of 20:12 on a difficult course. DiNardo has been a consistent force behind Eckerstrom all season. 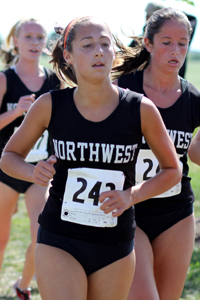 She recently ran under 20 for the first time with a time of 19:51 at Glory Days. She will be looking for a new PR at Gaithersburg. is glory days a 5k or 3 mile?